Teachers can help students understand how science learning is relevant to topics of social importance, including topics that are controversial inside and outside the scientific community. District Staff & PD Providers should provide opportunities for teachers to discuss and develop strategies that facilitate considered integration of controversy into science teaching. School Leaders should support teachers in engaging students in examining controversial topics and learn about tensions likely to come up. Controversy is a core part of the scientific enterprise. As citizens, we must constantly navigate different perspectives and make sense of conflicting arguments on issues that impact our everyday lives. However, in our schools we have often been reluctant to engage students in the examination of controversial topics in science. Being able to reason about and act on controversial science topics is fundamental to being scientifically literate. Learning how to teach such topics will help ensure that students are equipped to participate fully in our democracy. What science topics are controversial in your community? Are they scientific or social-scientific controversies? How can you surface students’ initial ideas of controversial issues, particularly those related to their personal values? Have you created a classroom culture where it is safe to share ideas that may be contentious? Can you learn from colleagues who teach controversies in ELA or social studies? How do they diffuse tensions that arise? Science necessarily involves different kinds of controversy. Scientific controversies are disputes that unfold within the scientific community (e.g., as competing hypotheses are explored). Scientific understanding progresses through reasoned skepticism, argumentation, debate, and working towards consensus knowledge. Scientists also develop knowledge about topics that can be socially controversial. Social-scientific controversies may occur as individuals disagree about which scientific topics are important to pursue, what methods should be used, and how scientific knowledge should be applied. These topics require both scientific understanding and an acknowledgment of the different values and ethical perspectives stakeholders bring to the decision-making process. Choosing not to teach about controversial topics can create educational inequities because some topics are socially controversial but remain central to scientific literacy. Case studies that reveal the human face of controversy can promote the salience and relevance of learning, and can help students understand the varied perspectives and positions different stakeholders bring to those topics. Students from non-dominant communities can be deeply engaged in science learning through personally relevant topics—many of which are also controversial. 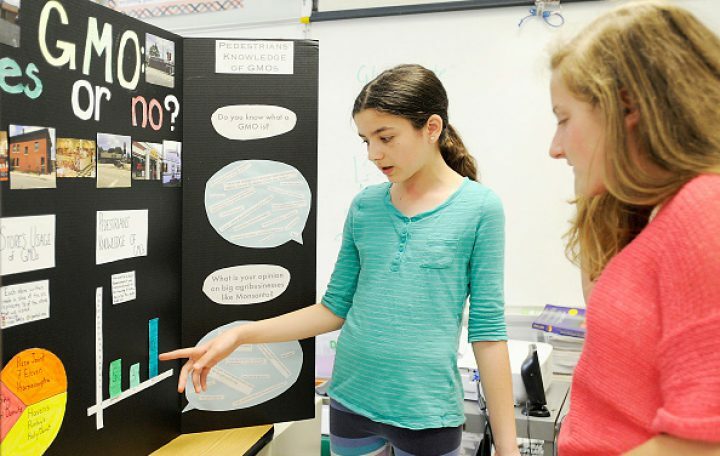 A pedagogical approach focused on finding real-world solutions to controversies can help students feel empowered rather than disillusioned by their increased scientific understanding. Separate the scientific and social dimensions of a controversy. Students should know that topics such as climate change are not contested in the scientific community, but it is important to engage socially controversial aspects of the topic. Explore resources from the National Center for Science Education, the National Park Service, the National Institutes of Health, and Flinders University. Ensure that students understand the science behind a given controversy. For example, discussion about the use of a particular technology or scientific application (nuclear energy, GMOs, or stem cells) should build on an understanding of the underlying science. Highlight the central role evidence-based argumentation plays in helping scientists resolve controversies within their community. Clarify how science is different from other ways of knowing (e.g., distinguish between scientific reasoning and opinions/beliefs). Establish norms for discussing a controversy and use structured discourse strategies (like Structured Academic Controversy). Consider providing decision-making frameworks, argumentation scaffolds, and language for students to express their stances. This site is primarily funded by the National Science Foundation (NSF) through the Research + Practice Collaboratory (Award #1238253). Opinions expressed are not those of any funding agency. Work is licensed under a Creative Commons Attribution-ShareAlike 4.0 Unported License. Others may adapt with attribution. Funded by the National Science Foundation (NSF). Opinions expressed are not those of any funding agency.